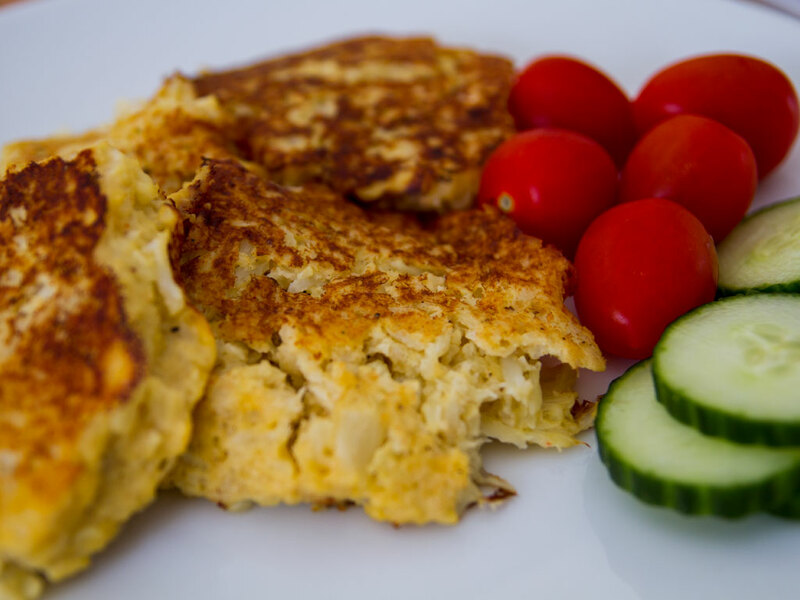 Potato pancakes or Latkas are a favourtie in our house but as everyone knows potatoes are very high in carbs and calories. Swap out the high carb potatoes for low carb cauliflower and you have a great low carb dinner. Be sure when you are draining the cauliflower that you drain it very well to get rid of as much liquid as you possibly can. Once mashed it wouldn’t be a bad idea to press it in a strainer or paper towel to get rid of more water. This will ensure the pancakes are not too mushy in the middle. Serve hot pancakes with sour cream and top with more shredded cheddar. There are 9.9g net carbs and 3 Weight Watchers points per serving. 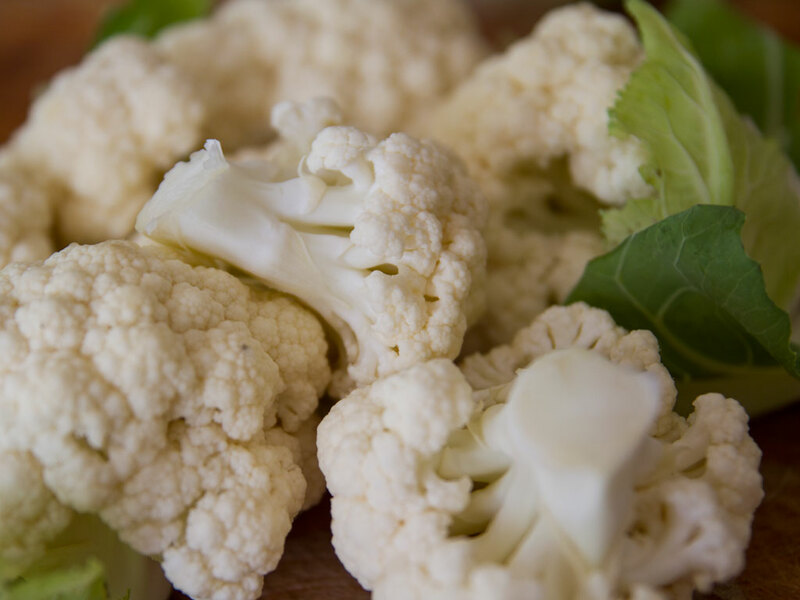 Cut cauliflower into florets & cook in boiling water until tender (10 minutes) then drain. Mash the cauliflower while still warm. Stir cheese, eggs, panko, nutritional yeast flakes, cayenne, and salt. Coat the bottom of a griddle or skillet with olive oil over medium-high heat. Form the cauliflower mixture into patties about 3 inches across. (I usually use a 1/3 cup measuring cup to scoop out the batter, then press the mixture down). Cook until golden brown (about 3 minutes per side). Keep each batch warm in the oven while you cook the rest.